Having your own business is one of the most important parts of your life. It is easy to put other things aside as you work on making your business grow, however, what business owners, entrepreneurs, and anyone who has a busy lifestyle needs to consider is how well we take care of ourselves and the impact our self-care has on the world around us. Hard work is great, but there comes a time when a person can work so much that perspective is lost. This is where it is crucial to begin taking care of yourself. 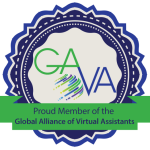 There are several studies that show that consciously taking care of your needs will increase your productivity and help you make forward progress in your business endeavors. Taking care of yourself helps to eliminate your negative stressors in your life. I go to the gym several times a week to walk, swim or do resistance training. This physical self-care allows me to refocus, lower my stress levels and also helps me to work more efficiently in the long run. Another way to promote self-care is to see friends, maintain outside connections. Volunteer for outside activities. Connecting with others helps you to connect with yourself. This will assist you in maintaining your emotional self-care. Create joy by doing activities that make you happy. I like to do oil painting, but I don’t often make the time for painting. When I do, I really enjoy it and that joy filters into my business and home life. In other words, it is important for your health to try something that you enjoy doing and find the time to do it. 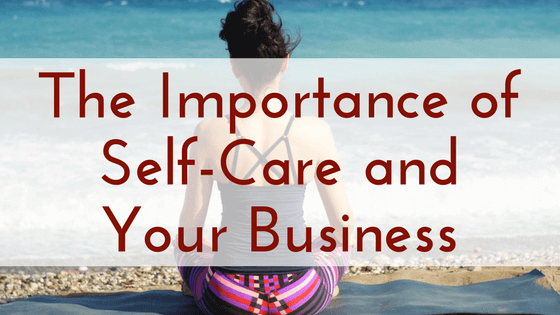 Self-care is not selfish, a waste of time or unnecessary for your business survival. Instead think of taking care of your needs as a part of your business and life goals. Neglecting your needs will leave you feeling overwhelmed, stressed and less effective in your job. Managing your needs through self-care will allow you to feel focused, energized and happier. Activities that provide positive effects on your mental and physical health allow you look at your life and your business more effectively. Self-care should be relaxing, enjoyable and fun. There is no right way or wrong way to taking care of your needs, you just need to make time. Taking care of yourself will help you take care of your business, family and friends in a much more effective manner.